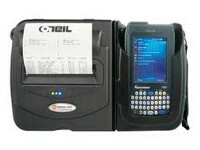 Integrated mobile barcode printers offer mobile workers the convenience of a portable thermal printer and mobile computer united in a compact and ergonomic, rugged and reliable unit. They are ideal for printing delivery receipts and invoices on the go. 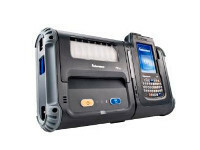 Our range of intergrated mobile printers are from Intermec, Datamax-O’Neil, and Zebra Technologies.